The phase imaging mode kit provides everything that is required to perform AFM phase imaging. 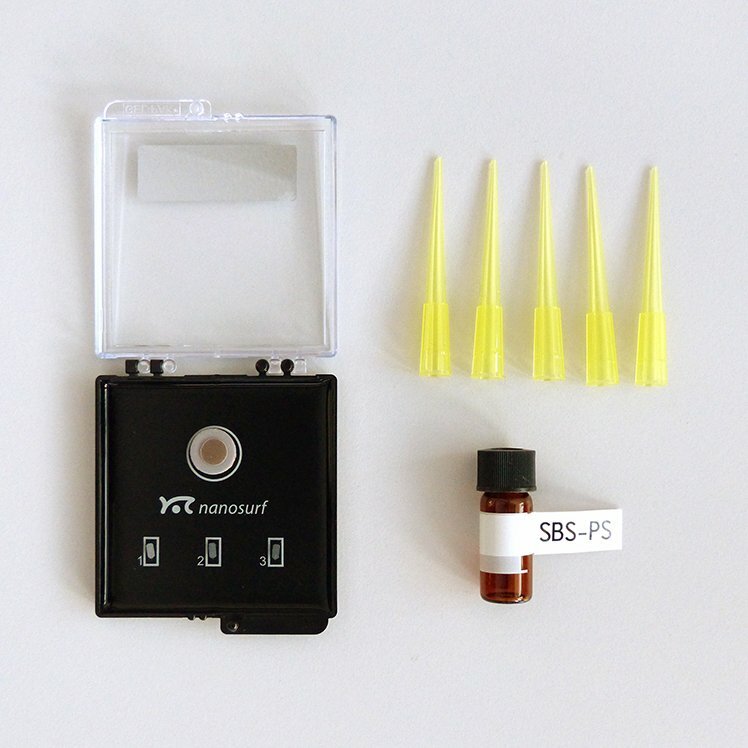 The kit comes with a set of cantilevers and a polymer blend sample composed of SBS (poly(styrene-butadiene-styrene) and PS (polystyrene) that can be easily prepared on site in order to always start with a fresh and clean sample surface. The SBS-PS polymer blend sample offers features at different size levels — from micrometer-sized features down to several tens of nanometer-sized structures (also see the application note on phase imaging of an SBS-PS polymer blend). These features can be distinguished in both topograpyh and phase and allow exploring the effects of different imaging parameters on the imaging result.